Welcome to the monthly e-bulletin of the South Asia Media Solidarity Network (SAMSN). The next bulletin will be sent on October 15, 2015, and your inputs are most welcome. 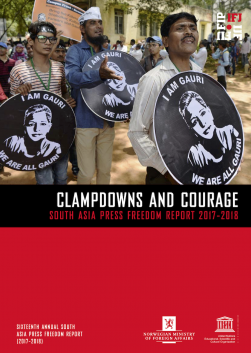 Pakistan witnessed a spate of attacks against journalists in early September with three targeted gun attacks on journalists and media staff, within a space of 24 hours, resulting in two murders in Karachi. On September 9, Arshad Ali Jaffery, a 45-year-old Geo TV satellite engineer, was killed as three gunmen fired at the Digital Satellite News Gathering (DSNG) van belonging to f Geo TV in Bahadurabad, Karachi. The van’s driver Anees was also injured. Only hours later, senior journalist Aftab Alam, who was on sabbatical from Geo TV, was killed in a gun attack near his home. Unknown assailants opened fire on 42-year-old Alam and fled the scene. Alam was rushed to hospital by his mother and sister but he died from his injuries. Alam had worked from Geo TV and Saama TV during his career. Also on September 9, Abdul Azam, a journalist working for state television, Pakistan TV, was injured in a gun attack in Peshawar, the capital of northwestern Khyber Pakhtunkhwa province. He remains in hospital recovering from his injuries. The double-murder in two targeted gun attacks came days after Pakistani Prime Minister Nawaz Sharif declared Karachi free from ‘targeted attacks’. Meanwhile, on September 13, the police claimed that they have arrested the mastermind behind the killing of Aftab Alam and later arrested three others. More here. As Nepal undertakes the consultation process of the new consultation, journalists and media have come under attack as they cover widespread protests across the country. 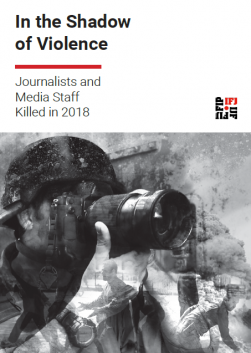 There were numerous incidents of violence against journalists covering the demonstrations and despite repeated calls from the IFJ, the Federation of Nepali Journalists (FNJ) and the Nepal Press Union (NPU), the violence against journalists have escalated. More than a dozen journalists have been attacked, apetrol bomb has been hurled to a photojournalist’s house, photojournalists were attacked both by the demonstrators and security forces, many newspapers and radio stations have been forced to close down due to dawn-to-dusk curfews and a radio station was destroyed in an arson attack. The IFJ statements are here and here. The protests broke out after the political parties agreed to the federal structure within the constitution. Dissatisfied groups staged protests across the country that resulted in over 30 deaths. Bangladesh authorities have arrested and charged a number people in connection with all four of the horrific killings of secular bloggers this year. Bangladesh has become the battleground for freedom of expression as bloggers are threatened, intimidated and killed. On August 18, Bangladeshi police arrested Bangladeshi-British man, 58-year-old Touhidur Rahman, and two others suspects Sadek Ali and Aminul Mollick, for their involvement in the murder US-Bangladeshi blogger and author Avijit Roy. Roy was killed during a visit to Dhaka in February this year, when he and his wife were attacked with machetes on a public street. Roy’s wife survived the attack. These three have also been linked to the murder of Ananta Bijoy Daswho was killed in broad daylight in May. On August 29, Dhaka police arrested Kausar Hossain Khan, 29, and Kamal Hossain Sardar, 29, for the murder of Niladri Chottopadhay Niloy, who was hacked to death in another machete murder on August 7. The suspects are reported to be also members of the al-Qaeda-linked banned Islamist group, the Ansarullah Bangla Team (ABT), who claimed responsibility for the attack. On September 1, Bangladeshi police charged five militants of the ABT, with the machete hacking murder of Md Oyasiqur Rahman Babu. Oyasiqur, a 26-year-old atheist blogger killed on March 30in Dhaka, was well-known for his secular writings. Read more here. On August 27, the state government of Maharastra, in western India, issued a circular, which gave the state police the power to take action against those who have a critical view or stand against the state or central governments’ policies and activities. The circular states that the sedition clause from the Indian Penal Code can be invoked against “whoever, by words, either spoken or written, or by signs or by visible representation, is critical of politicians, elected representatives belonging to the government.” However, the section will not be invoked against those trying to bring a change in the government through legal means without hatred and contempt. More here. On August 20, Pakistan’s Ministry of Information, Broadcasting and National Heritage issued the revised Code of Conduct for the Electronic Media through the Pakistan Electronic Media Regulatory Authority (PEMRA) following the Supreme Court’s order to issue the Code of Conduct for media to combat hate speech. However, the PFUJ noted that the newly introduced code of conduct is anti-democratic in nature as it restricts journalists’ basic rights. The PFUJ, which was not consulted in the development process, said the code is against freedom of speech, which is guaranteed under the Article 19 of the Constitution of Pakistan. Read more here. Provincial journalist for News 1st TV Priyantha Ratnayake, 46, was killed by a wild elephant attacked him in Minneriya, near a national park on September 8. He had gone to the village to cover incidents of wild elephant attacks in the area. 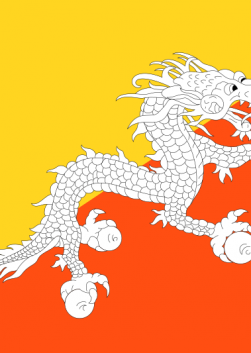 He was admitted to the Hingurakgoda Hospital where he succumbed to his injuries. Read more here. “Blogging has become synonymous to atheism in Bangladesh,” said Anindya Ayon, an online journalist and social media moderator of a renowned daily’s online page. The group thinks radicalism is the biggest threat as democracy and freedom of speech is being constrained through it. Read more. The Modi government came to power on the promise that ‘ache din (good days) will come, but forgot to add that if it did come at all, it would be at the cost of ‘sache din (truthful days). Welcome to the new Ministry of Truth. Read more. Free speech in Bangladesh is under attack as never before, held hostage between angry, machete-wielding radicals on one hand and a government, quick to take offence, on the other. Bangladesh needs to change course, adopt international standards, and uphold constitutional freedoms, and do it fast. Because as long as authorities continue to crush free speech, those who speak out risk losing their lives. More here and here. The Lahore High Court ordered the Pakistan Electronic Media Regulatory Authority (PEMRA) and the Press Council of Pakistan (PCP) on Monday to ensure a complete blackout of all activities of MQM, political party chief, Altaf Hussain in both electronic and print media for his alleged remarks against state institutions, including the army. More here. Defamation cases against the media are being filed thick and fast in 2015, with the pace picking up as the year wears on. There have been ten so far in the first 8 months of this year, as opposed to six in 2014. There seems to be a new willingness, then, on the part of those casually maligned by the media, to drag them to court and hold them to account. Read more from The Hoot here. This reader, published by Meson Press, crowd-sources critical tools, concepts, analyses, and annotations, self-identified by a network of change makers in Asia as important in their own practices within their own contexts. Download the ebook free here. The National Union of Journalists (India) held its biennial conference in Kota, Rajsthan with 700 delegates from all over India participating. The conference was inaugurated by the Home Minister for Rajasthan Gulab Chandra Kataria during which the NUJ(I) demanded a separate act for the protection of journalists. The conference also unanimously elected a new executive committee under the chairmanship of Ras Bihari with Ratan Dixit as the general secretary. The IFJ and the SAMSN congratulates the new executive committee and thanks the outgoing committee for its works on media rights.